Together Doug Scheiding and his wife, Jennifer Talley, make up the Rogue Cookers cooking team and cooks exclusively on Traeger Pellet Grills. Doug is also known for tweaking recipes, which is where the team name was derived, due to his technical background and constant desire to improve. Head Country Championship Seasoning and the Original Bar-B-Q Sauce has been a part of his arsenal since day 1 of his competitive smoking journey back in 2009 when a neighbor introduced it to him. 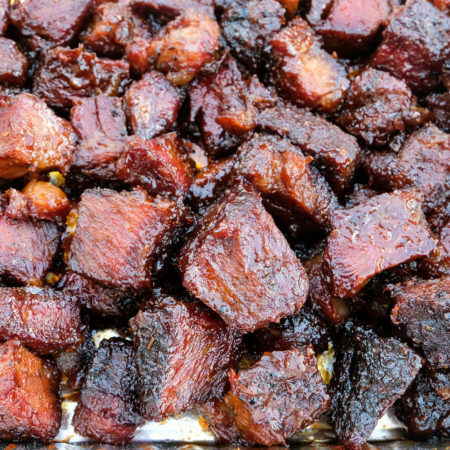 Rogue has been lucky enough to cook at many of the larger BBQ cook offs across the country and win several awards at them. 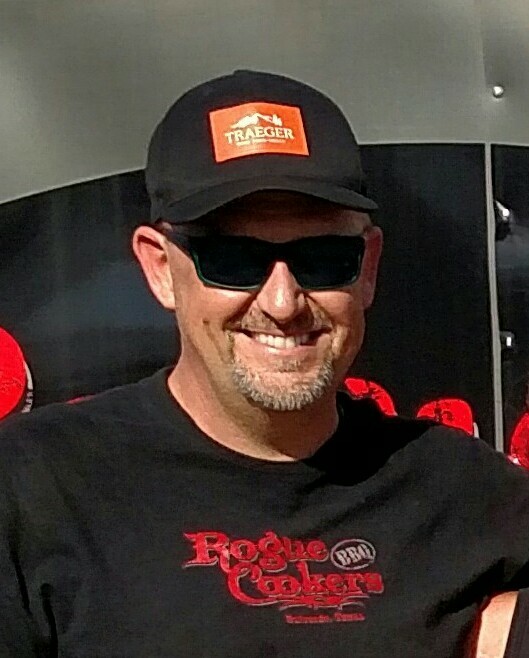 Doug is a Traeger Pro Team Member/Instructor and the TX Correspondent to The BBQ Central Show. 1. 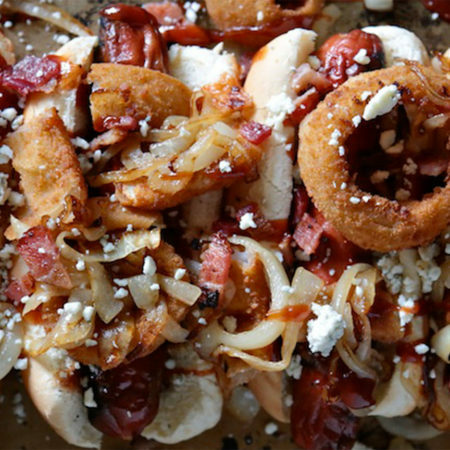 Start your grill and put temperature to 325°F. 2. Remove the wings from the package and pat dry with paper towel. 3. Spread evenly on a baking sheet/pan and put medium coat of the Head Country Championship Seasoning first (put on the bottom side of the wings first) and then put a light to medium coat of the High Plains Heat seasoning. Flip wings to other side and repeat both seasonings. 4. 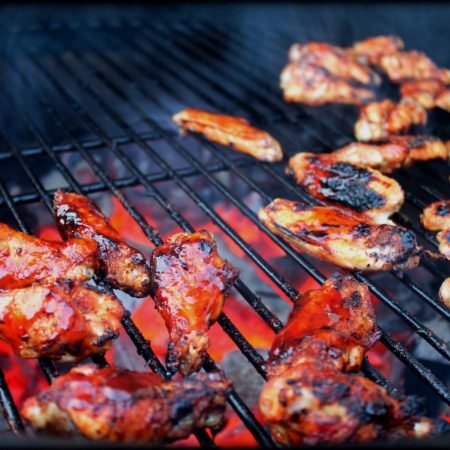 Put your wings on the grill for approximately 45 minutes of smoking. You can flip every 15-20 minutes if you like and sprinkle more seasoning on them. Cook to internal temperature of 165°F - measure with your Insta-read thermometer. 5. 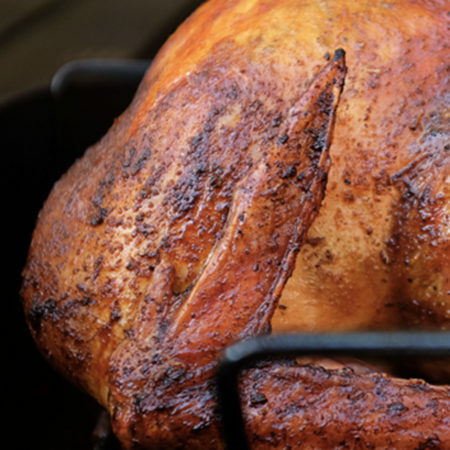 Remove wings from grill to clean baking sheet. Turn down grill to 250-275°F Very important as we don't want the sugars to burn. 6. While wings are cooking mix the all the glaze ingredients well. Taste to get desired level of heat - add additional tablespoons of Head Country Bar-B-Q Sauce, Chipotle or Tiger Sauce to Increase the heat or more honey to sweeten. Note that you should go a little hotter when mixing the glaze than what you want as finished product - heat flavor will dissipate some when glaze is cooked on with the honey. The honey will give a nice shine to the finished wings. 7. Use a brush to coat the cooked wings on both sides with the Head Country Chipotle Honey Glaze on the baking sheet and put on the grill. Prefer not to do this step on the grill so the sugar does not burn on the hot drip pan and also we want to use all of the glaze. 8. Smoke for another 10 minutes. Don't Flip. Coat the wings lightly with a second and/or third coat of the glaze depending on how much you have left over. 9. Plate and sprinkle with some thinly sliced green onions for color and extra flavor. Serve and ENJOY.